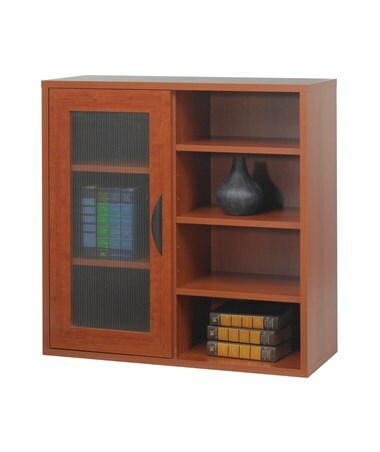 The Safco Apres Single-Door Modular Storage Cabinet with Open Shelves is a great piece of furniture to cater all of the storage needs in any setup. 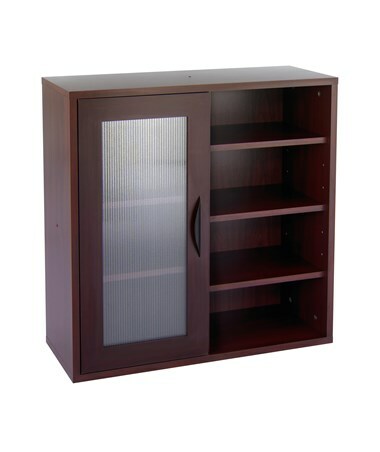 It features a left compartment with one translucent door and two shelves and a right open compartment with three shelves. All of these shelves adjust in 2.5-inch increments for flexible compartment spaces and can hold a total weight capacity of 75 pounds. The top shelf is also tough enough to be used as an extra storage space. This cabinet can be stacked up to two units high and works perfectly with other Apres Modular Storage Cabinets for maximum storage options. It is made of ¾-inch furniture-grade wood. 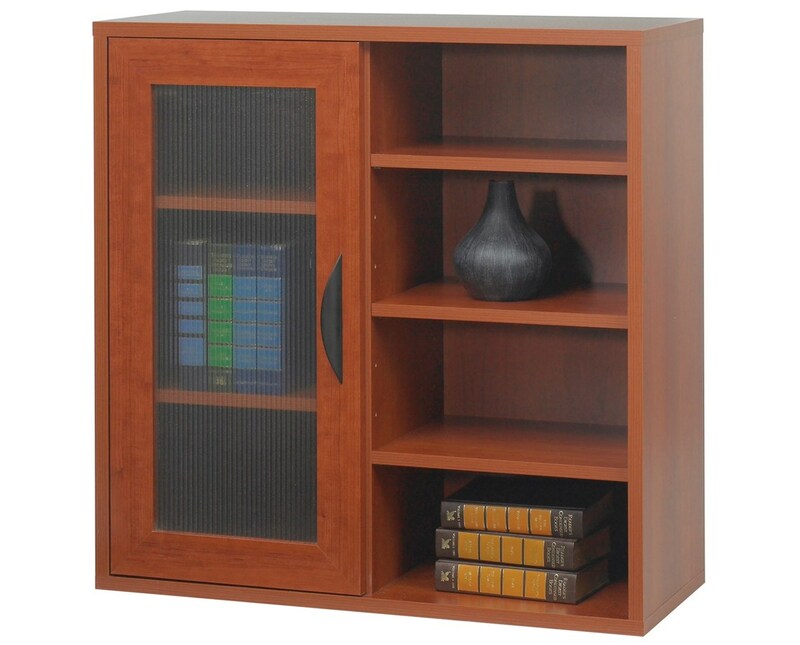 The Safco Apres Single-Door Modular Storage Cabinet with Open Shelves is available in two different colors. Please select your preference from the choices above.